My daughter loves corn dogs but they aren't the healthiest snack. Here's a great version of the corn dog but in muffin form! By making them at home you have control of the quality of the ingredients so they can be a healthier treat! 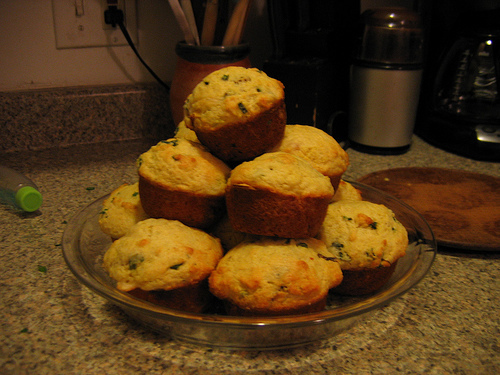 Preheat oven to 425 degrees and line, or grease, a 12 cup muffin tin. Combine dry ingredients and mix until incorporated. Add in the egg and creamed corn and mix well. Fold in the hot dogs and scallions. Place into prepared muffin tin and bake for 15 - 20 minutes.